CollageIt for Mac OS X is an easy-to-use and automatic photo collage maker for Mac OS X users, which makes photo collage automatically. There are only three steps to make your stunning collage: add photo, set parameters and generate collage preview, save collage as image format. Download CollageIt for Mac OS X for free now, share your photos with friends and family in an unique way. CollageIt for Mac is a collage maker for creating photo collage automatically. ...... With the variable parameter setting, you may make diverse types of collages including several photos or even 200 photos. Download CollageIt now, share your photos with friends and family in an unique way. 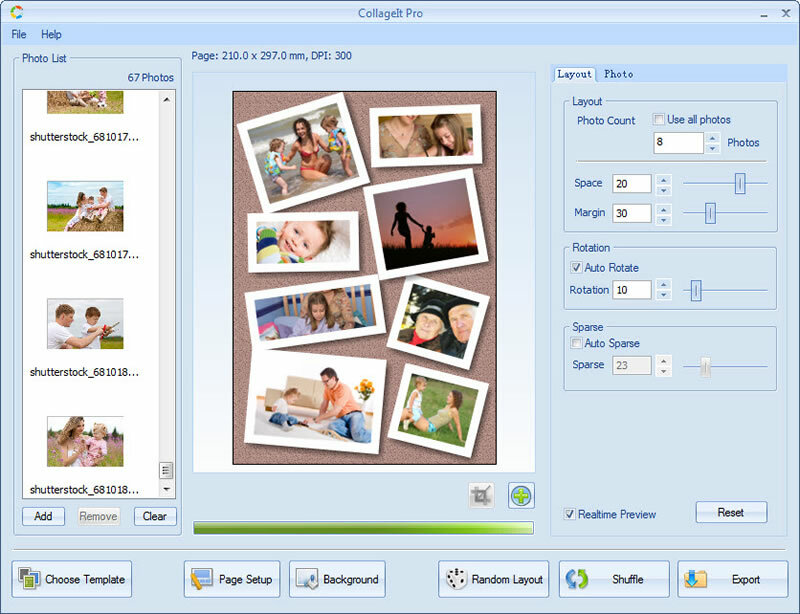 Click "Generate Preview" button, CollageIt will create photo collage automatically according to the added photos and parameters without any manual adjustment. Easy enough for users of all experience levels to use. Pretty collage will be made by just few mouse clicks. Just 3 steps to make a collage: add photos-> set parameters and generate preview->save collage as image file. Support creating collage with few photos to 100 photos. The "Auto rotation mode" and "Sparse mode" make the collage more varied. Preview the final collage in one second. Qweas is providing links to CollageIt for Mac OS X 1.8.5 as a courtesy, and makes no representations regarding CollageIt for Mac OS X or any other applications or any information related thereto. Any questions, complaints or claims regarding this application CollageIt for Mac OS X 1.8.5 must be directed to the appropriate software vendor. You may click the publisher link of CollageIt for Mac OS X on the top of this page to get more details about the vendor.